Adios, old kitchen. 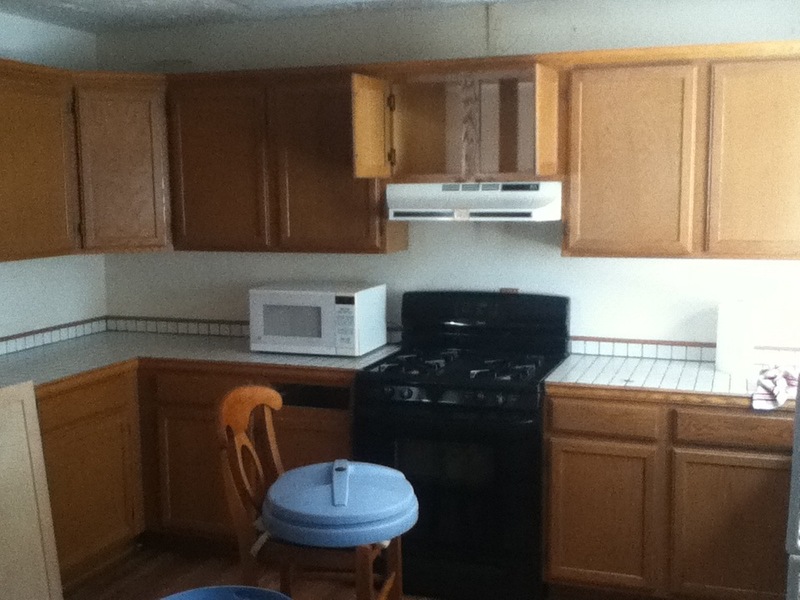 Goodbye to the mismatched stove and hood, Home Depot cabinets, tile with crumbling grout, and 17-year old microwave. In with the new. Before leaving for the rented beach house, the Universe punished me for my good fortune. Blood from my lungs. I told the dang doctors in the hospital that I had some blood coming up, but they kept telling me it was from the sinus surgery. Wrong. 15 days in the hospital and I get out for over a week and I have bleeding. Argh. Moments like that test me the most, as just when I think I’m in the clear for a period of time, I find out I’m not. Hello to two weeks of cipro. Crossing my fingers it does the trick. I’m writing this post in the house that is close enough to the ocean to hear the waves crashing on the beach. It’s pretty awesome. Today after work the three of us and two dogs walked the couple hundred feet to the sand. Again, awesome. I did, however, under dress. It’s July, 100 degrees where we normally live, and yet, 45 minutes away here at the beach it’s 65 to 70 – and cold at times. I need to drive home and get some warm clothes, like a jacket to protect me against the wind at the beach, and my Denver Bronco pajamas to keep me warm in the morning. And though it’s overcast most of the time, it’s as good as I dreamed it would be. Yes, I am still the luckiest guy in the world. 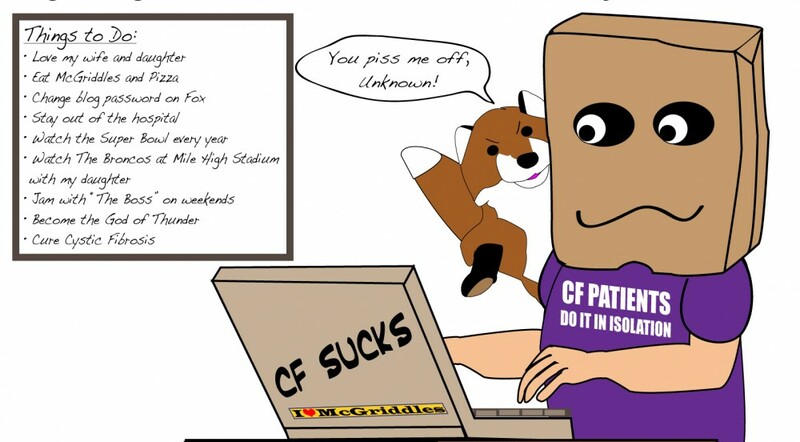 This entry was posted in Adventures in Los Angeles, cystic fibrosis and tagged California, Hemoptysis, luck by unknowncystic. Bookmark the permalink. 21 Celsius and you need a jacket?! I reckon if you came to visit me or our friend @onlyz you would need a full arctic survival suit!! I think the good salty air will do you some good, enjoy your time at the beach my friend. You work in a freezer and have developed immunity from the cold. You could stand in the snow in your underwear. Wait, you probably do that already. I’m telling you that it gets cold here at night right at the beach. It’s the damn wind. A jacket helps. Stop giving me a hard time. Get back to watching the damn Olympics. So envious of you, your family, and four legged friends enjoying some desreved getaway-time at the beach with those lovely temperatures, while I’m stuck here at work in GA where the humidity seems to be approaching triple digits like the daily temperatures. Wishing you the best time ever and the cipro gets you back in better health.. The black dog is having the best time ever here at the beach. I throw the tennis ball as far as I can and she retrieves it over and over again. Then she plops down in the sand and water and cools off. The yellow dog is on the leash and barks a lot. Sorry you’re baking and sweating in the GA heat. I’ve been there in the summer. I’m not good in humidity. Thanks for the good wishes. Much appreciated. Ohhhh, enjoy. It sounds like heaven! Hoping you can rest up and feel better. Walk barefoot in the sand for me! Thanks for the good vibes. I walked barefoot in the sand for you. Yeah, there’s nothing in the world to beat the sound of waves crashing on the sands. And if your health is anything like my sons, it seems to do wonders for the lungs too – though I’m not sure if its the peace and happiness it brings to ones soul, or the salt air. Perhaps a combination of the two – hope its as wonderful as you dream of UC! Enjoy!